The suspense and excitement surrounding Tuesday's U.S. Open showdown between Serena and Venus Williams is a testament to how many times the Williams sisters have played each other over the years. Despite meeting each other on the court 27 times during major competitions, the sibling showdown never ceases to elicit excitement. Maybe it's the sisters' reputations as fierce competitors, or the allure of a sibling rivalry — but every time they meet, it's thrilling. Tuesday's match was the 27th time that the sisters went head-to-head, and the stakes were higher than ever before. Younger sister Serena, 33, was hoping to conquer yet another Grand Slam title in her quest to complete the first calendar year Gland Slam since 1988. To do so, she must win four consecutive Grand Slam events, and the U.S. Open will mark the fourth. For Venus, who is 35, it may be a last effort to bring herself back into the forefront. Formerly ranked no. 1 in the world, the older sister has now slipped to No. 23 after years of battling an auto-immune disease. Venus, who has seven Grand Slam titles to Serena's 21, isn't ready to get out of the game just yet. But the only problem with a Williams sisters showdown is that one of them has to lose. Going into Tuesday's game, the odds were very much in Serena's favor. Of the 26 times the sisters played before, Serena had the upper hand 15-11. In the 13 Grand Slam matches they competed in against each other, Serena again won 8-5. The odds placed the match 7-1 in Serena's favor. But the two have sparred back and forth throughout their history. 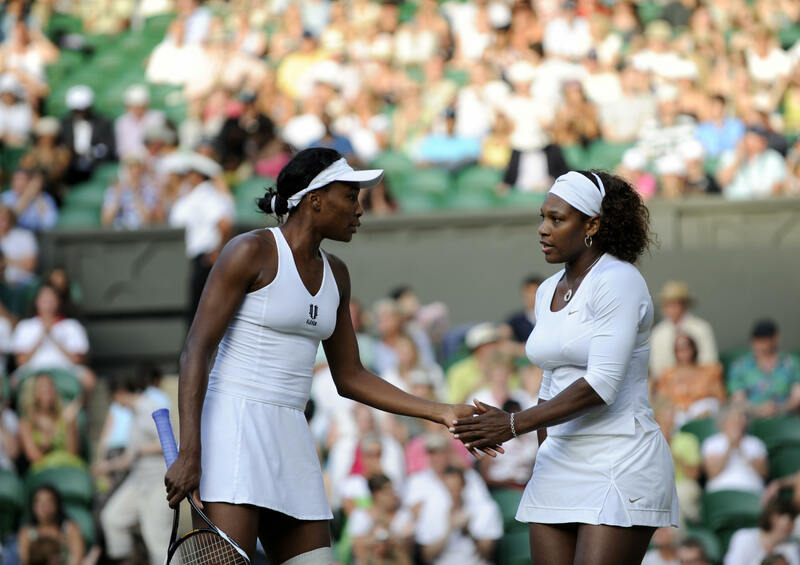 They met for the first time in 1998 at the Australian open, where Venus outmatched her younger sister. But in 2002-2003, during the "Serena Slam" where the younger sister won four Grand Slam events, she beat her older sister in each. Venus hasn't won a major title since her 2008 Wimbledon victory, which came after she defeated her younger sister. With the exception of a win last year in Montreal, Serena has won all of the recent matches, including a showdown at Wimbledon this past July. Although Venus has been playing exceptionally well in this U.S. Open, Serena has only lost two matches within the past year. And with CNN estimating that Serena has a 90 percent success rate in Grand Slams, the match seemed pre-determined to go in favor of the little sister, who is likely on her way to making tennis history — again.